Forgo flowers this year and go for something more unique this Mother's Day. Put some thought into your presents choose Mother's Day gifts that the recipient wouldn't typically splurge on, but you know would be just adored. 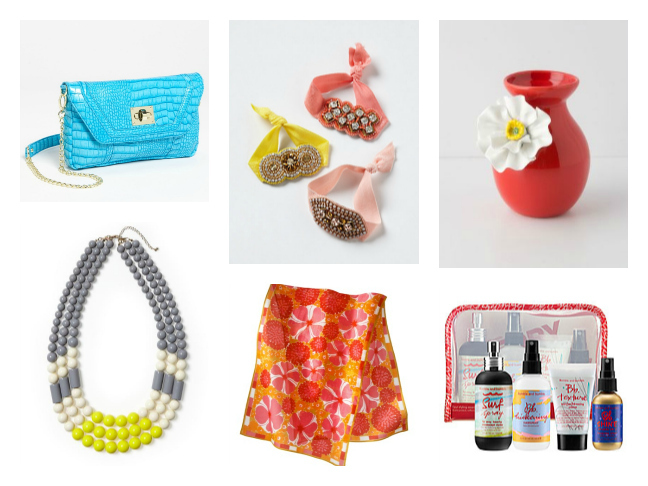 How about the bright clutch she's been eyeing, fancy hair ties, or a colorful, vibrant vase? And remember: giving something special doesn't mean you have to break the bank. Get something great for the favorite mom in your life (even if that's you! ).